NYNY Hotel and Casino does have parking fees based on time at the property. Please check for rates with the hotel prior to arriving. 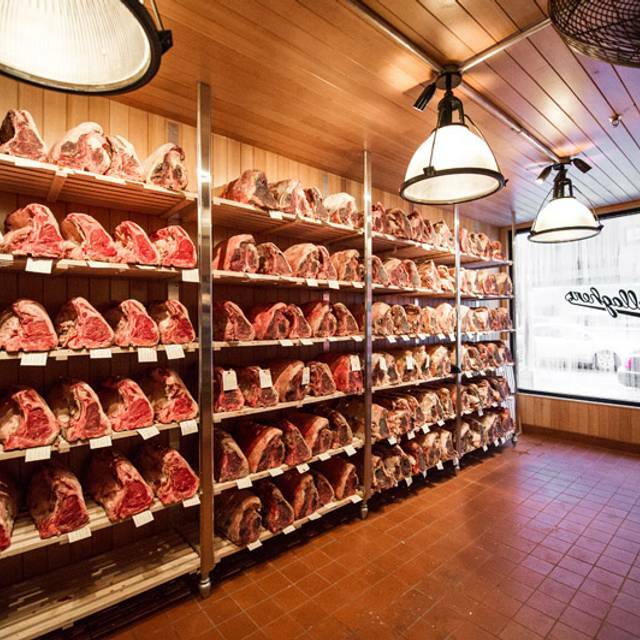 This classic New York Style Restaurant is famous for its New York Dry-Aged Steak, which is prepared on an open, mesquite grill. 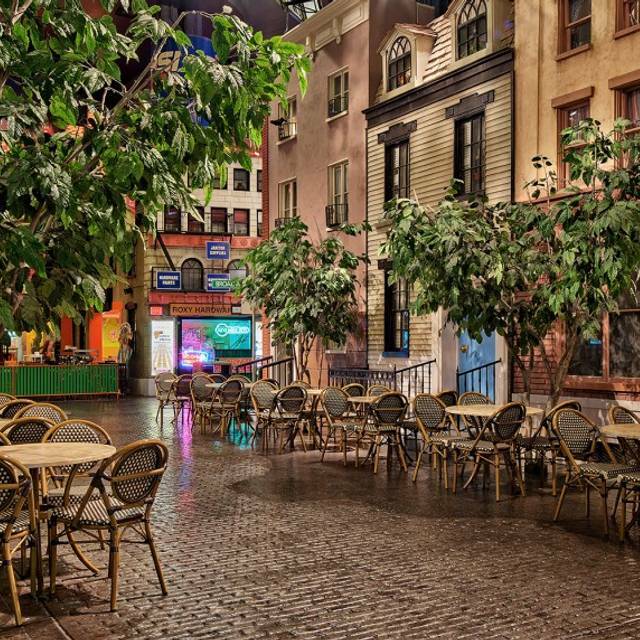 Our prime location is on the edge of the re-created “Greenwich Village Streets" and the Casino floor. Private Rooms Available from 25 to 75 guests. Restaurant accommodates up to 300 guests. Contact 702.740.6457 or events@arkvegas.com for menus and more information. Gallagher’s dark wood décor and bustling atmosphere, reminiscent of the great East coast chop houses, will have you longing for traditional steak and seafood favorites. 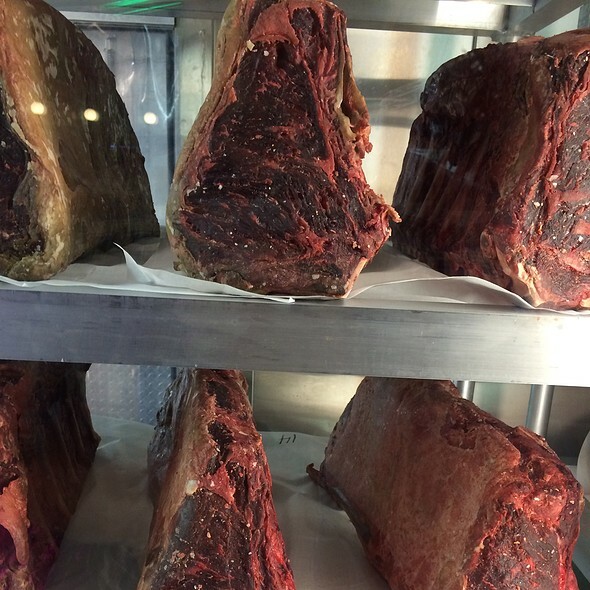 This classic New York Style Restaurant is famous for its New York Dry-Aged Steak, prepared on an open, mesquite grill. When making reservations, if you are unable to select a desired time for your party size, please contact the restaurant directly for assistance with your reservation. Tito's Vodka, Pacific Coast Olive Juice and Bleu Cheese Olives. This drink came about one morning when FDR commented to Joseph Stalin that he was feeling a little hung-over at the Yalta Conferece. Churchill reached into his valise and produced a bottle of gin and a jar of olives and the new cocktail was born. Bulleit Rye Whiskey, Carpano Antico Vermouth and Old Fashioned Bitters. Where the Gallagher's tradition began! The original "Manhattan cocktail" was a mix of "American Whiskey, Italian Vermouth and Angostura bitters"
*Thoroughly cooking foods of animal origin such as beef, eggs, fish, lamb, pork, poultry, or shellfish reduces the risk of foodborne illness. Individuals with certain health conditions may be at higher risk if these foods are consumed raw or undercooked. This is our go to steak house every time we visit Vegas. We usually request to sit in Sam's section but unfortunately he was off . New chef so there was a new menu. A few changes and one in particular was their scallops and bacon was removed and we were pretty broken over that. We asked if they could whip one up for us but was kindly denied. Service was always top notch. Wonderful atmosphere. Nice people. Excellent food. Little bit to noisy. 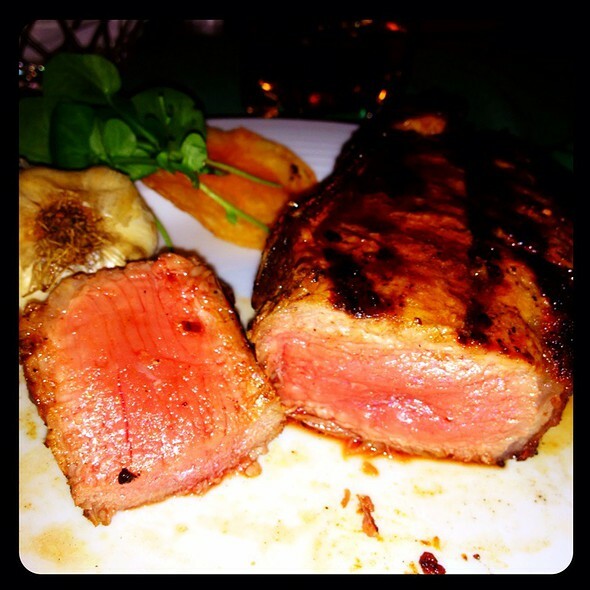 All our Steaks were great tasting (although one of our friend’s’ steaks had to be redone as it was too raw). The prices are high so if you’re in a budget, watch what you order. But if you don’t mind a quality meal, with top notch service, then this is a ‘must visit’ while in Las Vegas. We go here every time we’re in Vegas! We have eaten at Gallagher's several times over the last 10 years. My wife and I both had the New York Strip steaks and they were both extremely tough and hard to cut. Very disappointed with price/value. La atención es amable, pero los steaks decepcionantes. 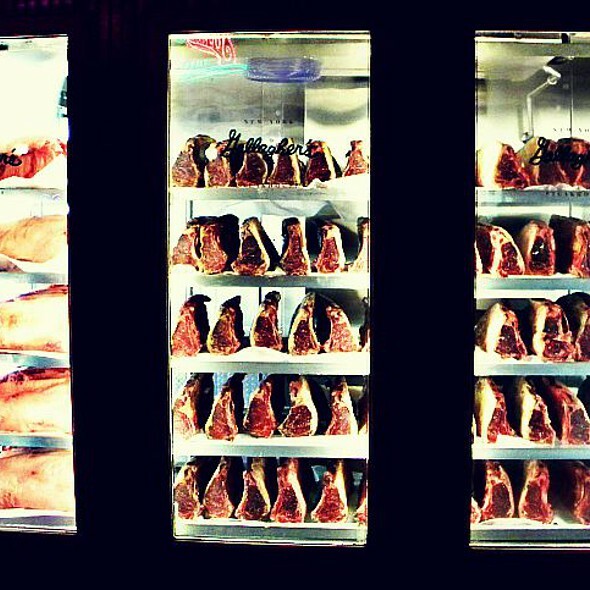 Los cortes de carne no son jugosos, no saben a nada, sin su textura y los sirvieron apenas tibios. Fuimos pensando que encontraríamos la misma calidad del legendario Gallagher’s de Nueva York en Broadway, pero no se parecen en nada. Realmente nos sentimos engañados pagando steaks a precio de prime y el producto que sirven ni siquiera es regular. I ordered the prime rib, my wife ordered the filet....everything about the meal was spectacular from the food to the drinks to the service. Everyone was very attentive to all our wishes. Unfortunately the New York strip steak was tough and the cowboy steak was fatty. So the steak was below par and a real disappointment. This is one of our favorite stops in Vegas. We just love the steak. Superb. Steak and prime rib were not very flavorful. My husband wasn't sure his rib eye was even a ribeye and my prime rib was blah and tough. Sides were pretty good and drinks were good. With all the other steak places in town, I wouldn't go again. Excellent service, good food options. Steak was somewhat dry but very good experience overall. Recommend. Dessert was excellent. We received excellent service and the food was what I expected for the price. The steak was definitely one of the best that we had. The portions were of good size to split between two people, especially if you are leaving room for desert and/or drinks. I would highly recommend and would love to return in the future. Already told as many people as I could bait this place. Amazing meal, great meats, good cocktails, large sides! Very nice time - great steak and drinks. This is our favorite restaurant in Vegas! Prime rib was cooked to perfection and service is always wonderful. Can’t wait until next time! Great as usual! Filet with jalapeño cheese mashed potatoes were fantastic. Gallagher's is NOT a run-of-the-mill steak house. Dinner, drinks, and dessert will run nearly $100 per person. 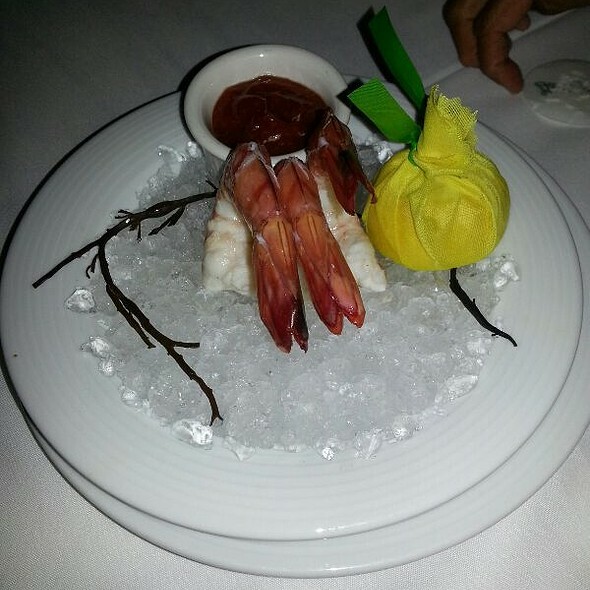 But the food is WORTH EVERY PENNY, the service is awesome, and the ambiance is very nice. I made a reservation for 4 online. We got there 15 minutes early and had 5 in our party. There were half a dozen customers waiting outside and I saw maybe two empty tables. I mentioned our 5th to the hostess. She frowned. I told here we could wait longer because of the inconvenience. Looking at the table chart, She cocked her head to one side and frowned again. She said it would take a moment to see if she could make it work. After a minute, she said "Please wait a moment and let me check the table." She came back 30 seconds later and said there wouldn't be a problem and "Your table is ready." Still 10 minutes early, added 1 to our party, and the table is ready early. Sam was our waiter. Oh my God, this guy is great! I thought I recognized him from previous visits so I asked him how long he'd been there. "Since day one, 23 years." Nicest guy ever. It'll be a sad day when Sam retires (again). When the bill came, I put my CC with it and Sam took it away. When he returned, on one of the two receipts, I wrote in the bill amount, tip, and total. Signed it and we left. A couple minutes later, while wandering around trying to find the front door of the hotel, Sam comes running up. He said I forgot to sign the bill. I explained I did sign it but filled in the second receipt and signed it. I felt bad for Sam because I knew his feet were already killing him. Having to chase us down like we skipped the bill couldn't have helped his feet. Would you recommend Gallagher's Steakhouse to a friend? Oh, hell yes! 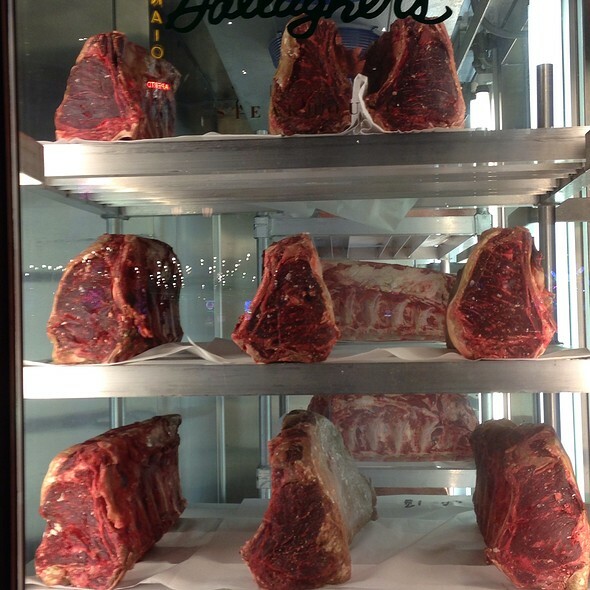 If you have the opportunity, treat yourself and have a meal at Gallagher's, NY-NY, Las Vegas. Bad food. For a steakhouse, it was way too loud. Appetizers were too salty to eat and the steaks were burnt even though we ordered them as medium rare. At the end, we left more than half of the food as leftovers and did not take them to go. It was very unpleasant as we were here for a family birthday and this ruined it. Would not recommend. We did enjoy our dinner at Gallagher's. The service was impeccable. My filet was delicious. My friend's lamb was delicious. My husband's aged steak was not as good as he expected - somewhat tough. The loaded mashed potatoes were awesome, as were the green beans and creamed spinach. Make sure you go hungry! Good food and service. We had a reservation, but not sure it was needed because we went early. Sides are served a la carte, easy to share. Steaks were huge, so also shareable. This was my second time here and we were not disappointed! The staff is amazing as well as the food. This was our third visit to Gallagher's for our anniversary. We love this restaurant; the food is excellent! 9th year wedding anniversary and they had special chocolates for us! Walking distance to the TMobile center, perfect place for dinner before a show! 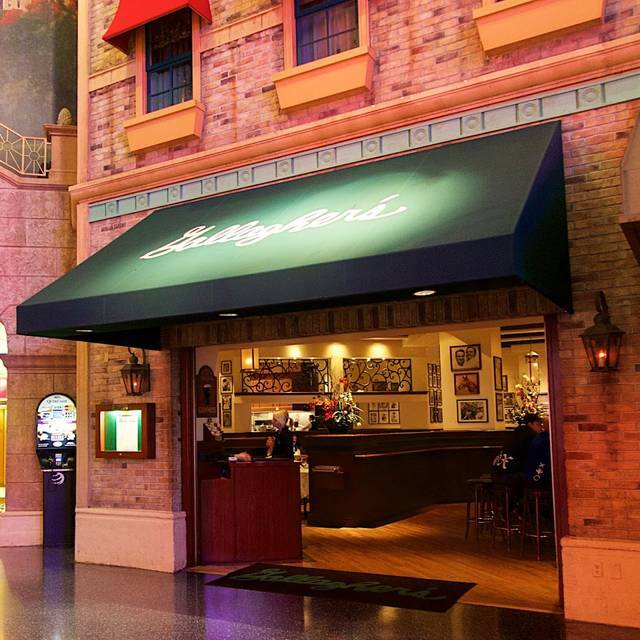 Gallagher's is one of our favorite places to eat when we are in Las Vegas. We always make it a point to go there. 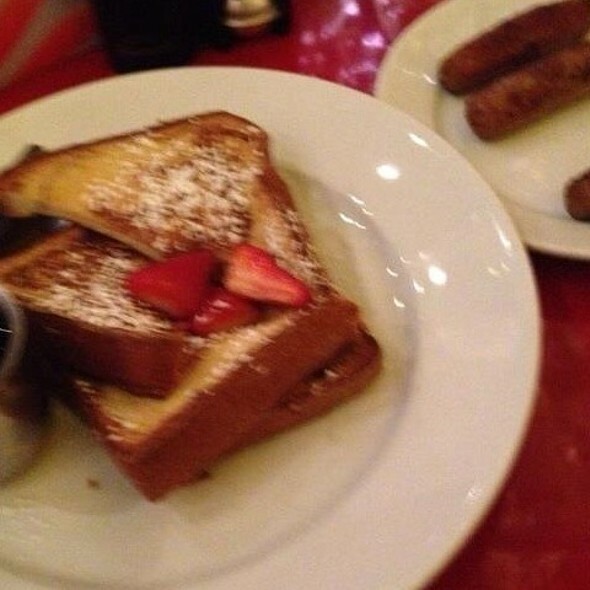 The food is always amazing & perfect! The servers & wait staff are the most kind & accommodating. We love everything about Gallagher's! It took 50 to receive my main entree of king crab legs and parmesan fries. The fries were cold and the crab legs were luke warm. The kings crab legs were mushy and soft due to the extra water left in the king crab legs while cooking. I got 3 soda refill and the waiter did not tell me that they charge per soda. Each soda coast $4 dollars. There is no free refills on the sofa. The garlic shrimp I order did taste like garlic at all. It had a very sweet taste to it instead. I have been going to Gallagher's steak house in New York new York hotel casino every year for the last 15 years. This is the first time I have been disappointed. Sadly I my not ever return to Gallagher steak house again. While my steak was amazing, my wife had the crab legs and the freshness and flavor certainly didn't meet the $75 market rate. at first I thought that was because your nowhere near the coast however some of the best Sushi I have eaten has been in Las Vegas so that shouldn't qualify less fresh crablegs. in the future we will stick with steaks and land animals. We’ve been visiting Vegas once or twice a year for 20 years. This is one of the best steaks we’ve had. We have made it a must eat for last 5 years or so. Sides are huge and easy to split. We have been splitting the steak and sides the last few years. Still walk away full. We absolutely LOVE dining at Gallagher’s. It’s our must eat place in Vegas. Everything is always perfect and delicious. I enjoy sitting near the kitchen and watching the flawless execution of the amazing staff, it’s truly great to see. We look forward to many more romantic dinners at Gallagher’s. Top quality steak and accompaniments. And portion size slightly more in keeping with a European appetite 😁. Overall, highly recommended and I can’t wait for my next visit.